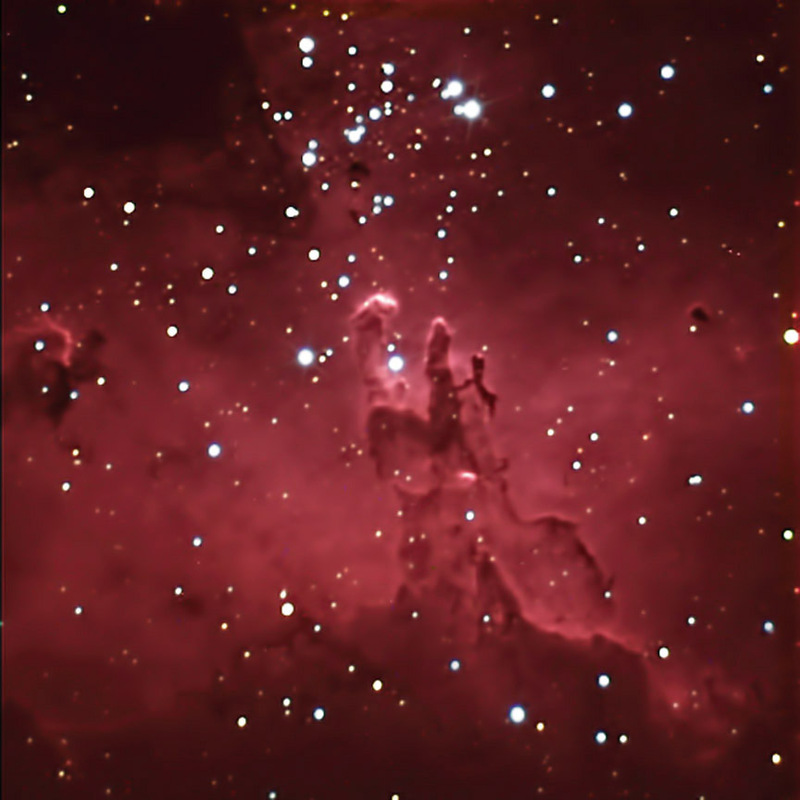 This object has often been referred to as Pillars of Creation following the publication of the now-famous Hubble telescope image. It is a rich star-forming region. Although this is typically referred to as M16, M16 (NGC 6611) is actually the designation of the star cluster forming within the nebulosity. The nebula itself is identified as IC 4703. Exposures: R (used as Luminance): 6@ 5 min. R: 2@5min. G: 2@5min. B: 3@5min. Procesing: Images were focused, acquired, calibrated and combined (Average) in CCDSoft. The "luminance" and RGB images were combined and adjusted (Level, Curves) in Photoshop CS.